Badge clip extends up to 85cm (33-1/2") for quick ID swiping. Useful wherever security is a must and non-key entry is necessary. 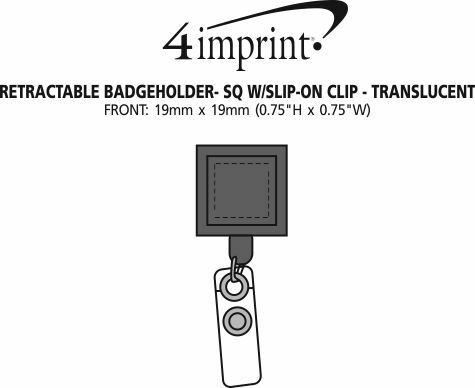 Features slip clip on back plus easy-release snap to hold badge (badge not included). 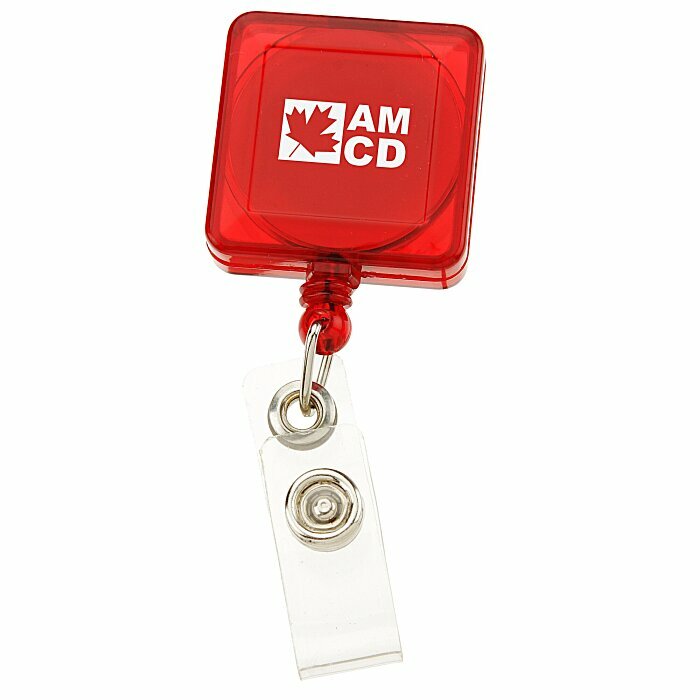 Several translucent colours to choose from to compliment your logo. Your price includes a one colour imprint on the front of the badge holder. Additional imprint colour available for an extra charge. Set-up charge: add $65 per colour. Ready to ship in : 12 business days *.